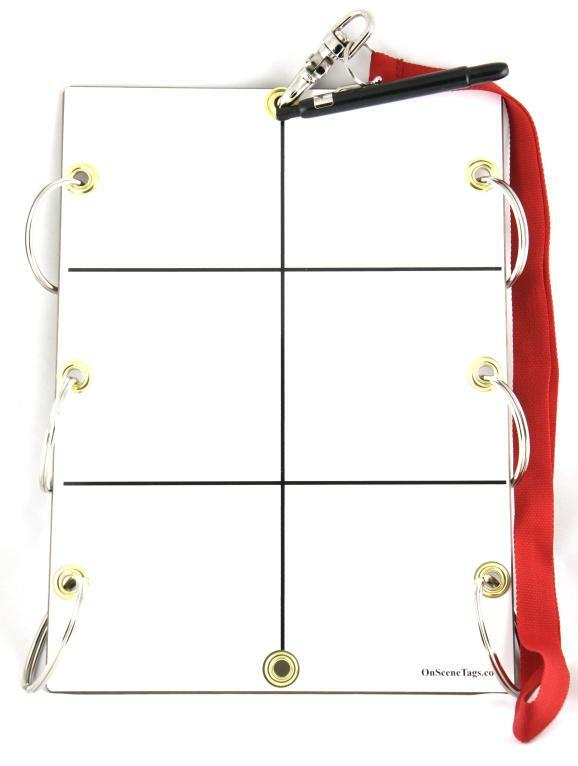 Dry erase board with six 2" rings, swivel clip and lanyard. Retractable grease pencil with clip included. Grease pecil wipes right off and works in the rain and snow.